If you like one of these please PM me with your order, your Paypal address and your shipping address. 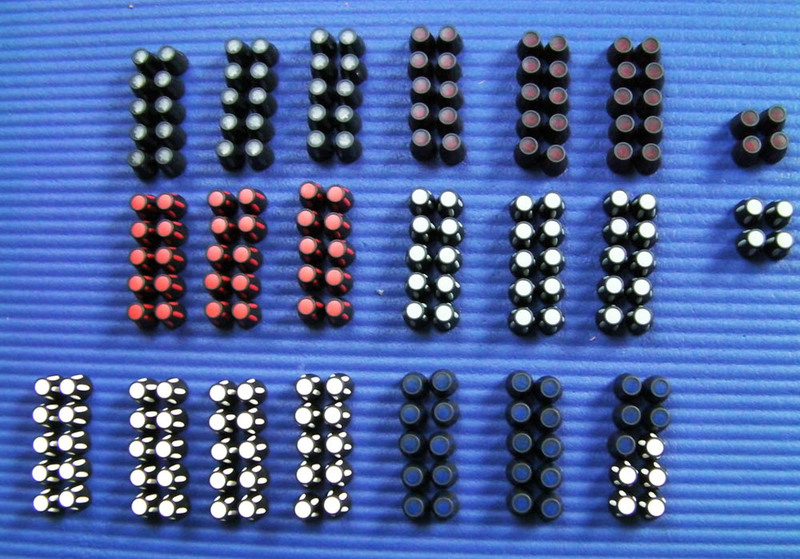 Please order minimum 15 knobs and make sure you do not leave me with odd quantities. Take them all or let 15 pcs. left for a MB-6582 knob kit. Payment is accepted via Paypal (plus 5.5% fees on the sub total -knobs plus shipping-) or SEPA transfers (no fees) within the EU.